Yee haw! Be a pioneer at This Is the Place Heritage Park. We're recruiting real men and real woman of pioneer character who aren't afraid of hard work sprinkled with a little dirt. Blisters are optional. Gloves always recommended. 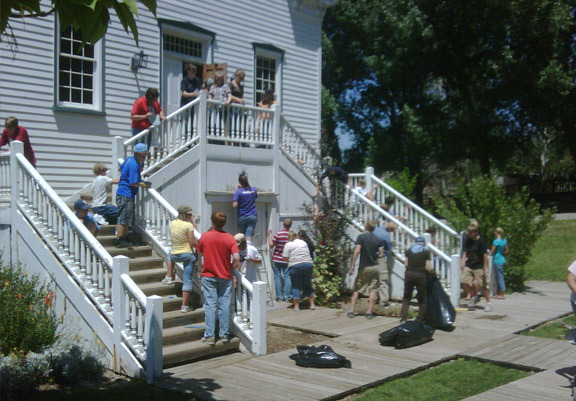 We accommodate groups from single families to hundreds of hard working volunteers. If you can round them up, we can put them to work. 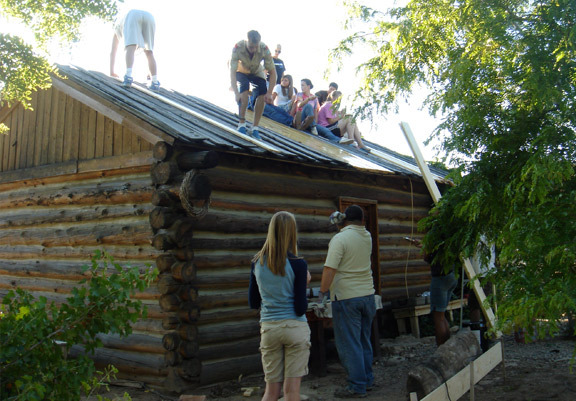 We also have a list of more than a dozen Eagle Scout projects for the young'ns to select. Naturally doing service at This Is the Place Park will help you build a legacy that others will look up to in the future. To learn more about our service opportunities please contact Marianne at 801.924.7510 or mdunn@thisistheplace.org, Steve at 801.924.7520 or stevehirschi@thisistheplace.org, or fill out the form below and someone will get back to you.